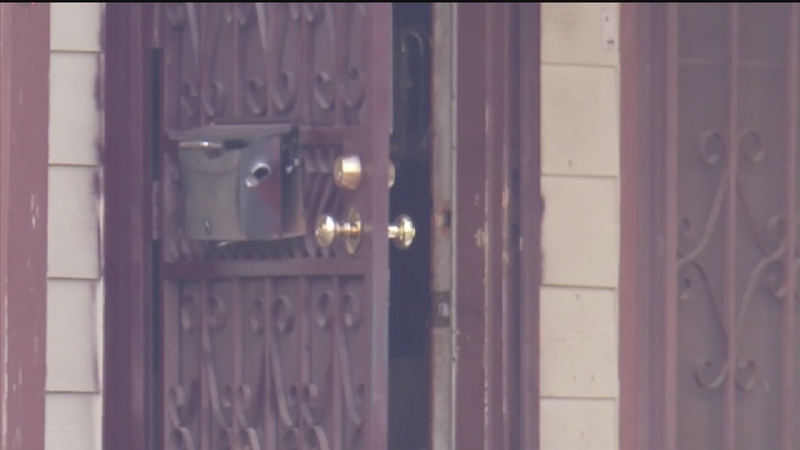 HOUSTON (KTRK) -- A mother and her three children fled from gunfire on Houston's southeast side, after a killer shot their father dead in his doorway. The violence occurred just after 6am in the 4100 block of Panay Drive. Family identified the man killed as Chester Edwards, in his mid-30s. His brother, Sean Edwards, stood on the street, overwhelmed with emotion, hoping for answers. "Right now, I'm feeling hurt. I'm feeling mad," said Edwards. "You opened up on three innocent kids. That's wrong, man. That's wrong, man." HPD investigators explained things could have ended far worse. Detective Fil Waters told Eyewitness News the mother was warming up her car in the driveway. Waters said two gunmen pulled up in a Ford F-150 pickup. One man, wearing a hoodie and a mask, ran up to the family's front door. Waters said the gunman engaged in a confrontation with the father before opening fire. "He's shot, falls there in the doorway. As the mother realizes what is happening ... she runs, gets in her car, and gets the kids out of there." said Detective Waters. "As they're pulling away, both men started shooting." Bullet holes and casings could be seen on the block. Mom and her three children escaped to safety. Detectives couldn't comment at the time if the violence was random or targeted. They explained it's an active investigation and they must continue questioning witnesses.